While Western spirits struggle to enter the Chinese market, domestic drinks and cocktails have shown tremendous growth in the first half of 2018. According to a recent analysisreleased on July 18th, the Chinese spirit Baijiu, beer, and cocktails have shown the most substantial growth compared to last year, with some figures almost doubling. Here’s what is happening in China’s alcohol industry in 2018. 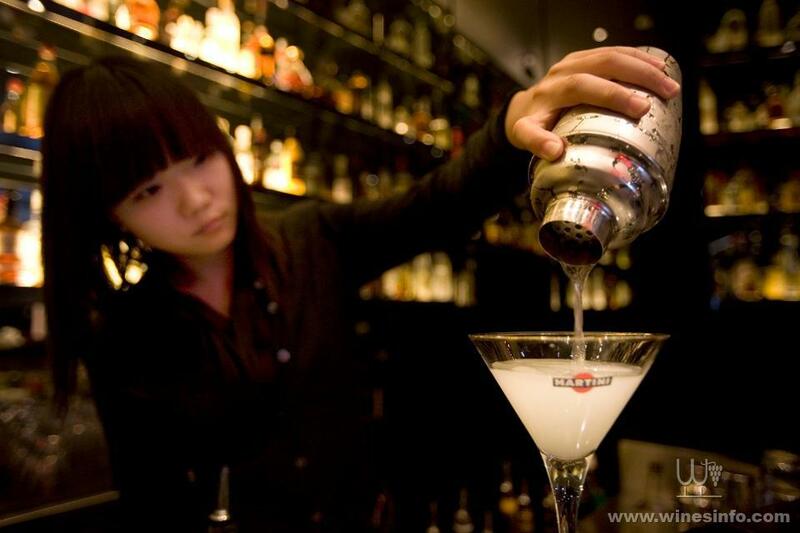 Bartender Ayuka Luo mixes a cocktail behind the counters at Dolce & Gabbana Martini Bar in Shanghai, China. Baijiu is China’s traditional spirit and, due to the country's huge population, is the best-selling spirit in the world. Since 2017, baijiu sales have risen by 38.5%, reaching $286.5 million. While sales by volume dropped by approximately 20%, a steep 72% increase in baijiu prices saw the category thrive in terms of value. The strong spirit, which is categorized in terms of aroma is widely consumed in China, always a staple at business dinners, weddings, and events. Due to the intense flavour profile and strong alcohol percentage, the spirit is yet to make its mark in Western markets. However, mixologists in the US and Europe are beginning to show interest in the spirit, with some concocting signature cocktails with baijiu. Maotai is by far the best-selling baijiu brand in China and falls under the Sauce aroma baijiu category, known for its intense umami notes. This is the most difficult category for the uninitiated to approach as the flavour is reminiscent of soy sauce. Other popular categories include the sweeter, fruitier Strong aroma baijiu, the Light aroma varieties, and Rice aroma expressions. While there are thousands of distilleries in China, some brands still cannot keep up with demand. Maotai, for one, is close to running out of spirit, according to Bloomberg. The analysis shows that beer sales in China also rose greatly, with a 34% growth year-on-year, at $84 million. The price of beer also increased by 8%. Among the catalysts behind this growth was the popularity of the World Cup. The report also stated that Budweiser and Harbin beer were a large part of the growth, showing an increased interest in imported beverages. Last but not least, canned cocktail sales rose by a huge 56.6%. Earlier in 2018, a report by the Financial Times estimated that sales of whisky were also rising in China, with 2017 being one of the biggest years for whisky consumption in China. The recent China Landscapes 2018 report by the Wine Intelligence shows that imported wine figures continue to grow in China and now amount to over 40% of the wine consumed domestically.